Are you looking to host a marriage event at your church? Rick and Nancy Kay Grace bring hope, humor and understanding to the challenges of today’s through the Marriage Magnifier seminar. Marriage Magnifier is the six-hour marriage enrichment seminar presented by Dr. Rick and Nancy Grace, designed for couple’s events sponsored by churches. Together, Rick and Nancy have a deep desire to help couples grow closer through the grind of everyday life. Couples will enlarge their appreciation of differences, magnify their communication skills, and increase their closeness to God and each other. Discover new joy in your marriage with Rick and Nancy’s thought provoking and enjoyable presentations. 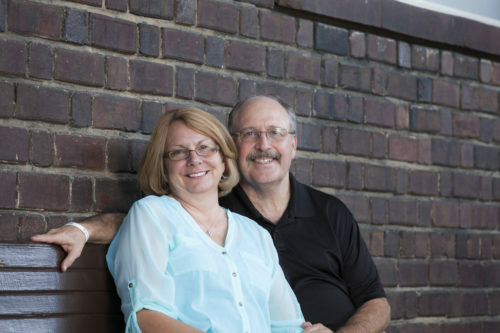 Rick and Nancy have been in the trenches of pastoral ministry for more than 40 years. They have been involved in marriage ministry for more than 25 years. They often tag-team messages on marriage and lead small groups that help couples with communication skills. In July 2016, Rick and Nancy were the keynote speakers for the United marriage Encounter Celebration in Chattanooga, TN. Rick and Nancy are also available as keynote speakers for banquets.